Anti-aging creams and serums are by far the most expensive skin care products on the market. Until just a few years ago, I was more than willing to spend up to one-third of my paycheck on my skincare products, hoping to strip a few years off my “exhausted” face. Thankfully, now I know better. I know for a fact that a homemade natural anti-aging serum, made from organic food and natural oils is just as effective as those fancy money-eating industrial creams and serums. And I know I don’t want chemical preservatives, parabens, synthetic fragrances and dioxine swimming in my bloodstream. Oil-based serum, often known as a facial oil, is the best way to keep wrinkles and fine lines at bay. Until a week ago, I’ve only used Jojoba oil to clean and moisturize my face. But then I’ve discovered Citrine Joyous’ wonderful e-book – “Citrine’s Anti-Aging Beauty Secrets“. Citrine, a certified herbalist and aromatherapist, has agreed that I share one of her amazing and little known anti-aging secrets – “The Aromatherapy Nourishing Serum”. This easy-peasy to make recipe has worked wonders on my wrinkles, crow’s-feet and tired-looking skin. Keep in a cool, dry place for a week for all the ingredients to mix well and apply every day before bed. (Note: Always store your serum in a dark and cool place and never apply essential oils directly without a carrier oil). I know that all the ingredients seem a bit costly up front, but you can literally make dozens of serums with them and the price per one batch is only about 3.5 dollars (my accountant is doing a little happy dance in his chair now). Plus, Vitamin E oil is a natural preservative, which makes this powerful homemade anti-aging serum last for 10-12 months. As I said, I’ve only been using this recipe for a week but I can already see the effect. My crow’s feet and fine lines are diminished and my skin looks hydrated and smooth. (I tried taking my picture with my cell phone but I couldn’t for the life of me take a good photo of my face before and after, sorry). I’m absolutely thrilled I stumbled upon this magic-in-a-bottle recipe, and dozens of more homemade cleansers, facial masks, facial scrubs, anti-aging foods and supplements in Lleaon’s pdf. I use this low cost (yet highly effective) heated face massager to help absorb my serum better in my skin while increasing blood circulation and promoting collagen production. I’ve also taken her advice and started adding anti-aging foods into my daily meals, exercising my facial muscles with her Yoga facial exercises and making her food-based cleansers, facial masks and moisturizers. Most of the recipes are so simple that my 5-year-old can make them (and did!). Anti-aging secrets from around the world (Japan, Egypt, South America, France and more) and how to use them. Homemade recipes for anti-aging exfoliators, facial masks, facial scrubs, toners, serums, everything. Especially loved the eyelash booster. Here’s Citrine’s official website, if you want to see for yourself. What about you? have you ever made your own anti-aging serum? Meital, thank you for sharing this very informative post to us! I think I should try his anti-aging serum at home, I hope I can make a one that will really work. Hi there – I look forward to trying this recipe! I’m curious – do you apply this all over your face, and how much do you end up using each time? How does it spread? 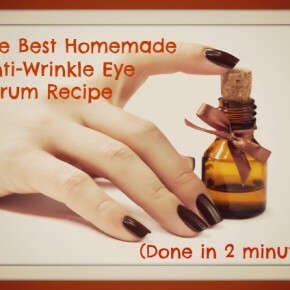 Yes, I apply it all over my face, ecept for around the eyes (I use a little different recipe for the eye area, you can see it here: https://natural-alternative-therapies.com/anti-wrinkle-eye-serum/). 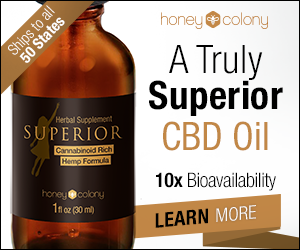 I use about 7-9 drops each time and it spreads just like any oil you’d use, but it absorbs quickly and the results are almmost immediate – My face looks glowing and with time it reduces wrinkles. If you go by the recipe, do you need to add any other carrier oil with it, before you apply? excellent article loved it. can you tell me which is better to store the serum Frost Black Glass bottle or amber glass bottle? Is using Mg Gel the same as Mg Oil? Yes, I’m sure you can. Just google it and add “India” at the end of your search query. Can I use this with out carrot oil? I love your recipe, but I am really hoping to minimize the cost. Which of these oils can I remove from the recipe but would still give me the best results? Thanks! I think that you can skip on the Geranium oil and the carrot seed oil and still get most benefits. Enjoy! That’s awesome, thanks! I am so excited to try this. And thanks for your reply! Hi! Do you use this serum at night time or during days? I use it in the morning actually. But you can use it any time you want to. What other Carrier oil can I use? Can I use sweet almond instead? You said use it at night – can i use it during day instead of moisturizer. I want to use Alovera , glycerine, vit e & rosewater at night… does that combination of using this in the day and the aloevera at night work? this is all as moisturizer ? Hi! I am glad that you shared this recipe but I am curious about the note that you mentioned as a caution. You mentioned ‘never apply essential oils without a carrier oil’? Which one of the oils in the recipe act as a carrier oil? Thanks! You can use it during the day but it’s a serum – not a moisturizer. This means that it is usually used as a basis under a moisturizer. You only use a few drops of the serum. I hope this helps. How much carrier oil do you need? Not much, a few drops – enough to make it appliable on your face. I would like to make this serum and others, but please can someone confirm the measurement Tsp…is that a teaspoon or a Tablespoon?? a friend asked this question, but for some reason her question is not showing on this page.. We can not order the oils if we do not know the quantities needed? I’m coming back to this to make a refill. I always made with Tsp not Tbsp. I see there is a comment regarding this as well. I’ve used it for two years with only the 3 teaspoons of carrier oil, etc…. my dropper bottle is too small for the revised recipe.